Welcome to Kindergarten! Teacher-directed lessons and child inspired projects balance the core subjects of language arts, math, science and social skills with other important life skills such as inquiry, creativity, confidence, critical thinking, risk-taking and self-discovery. Direct instruction of core subjects is balanced with unstructured playtimes in order to construct a developmentally appropriate kindergarten program. 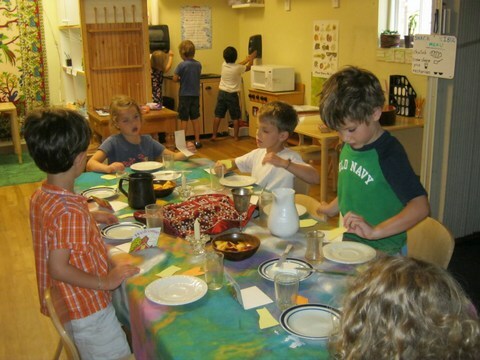 We recognize that each child enters kindergarten at different places along the developmental continuum. Through a variety of small group instruction times and individual assessments, we are able to meet each child where s/he is, and then nurture and support each individual to move forward in his or her educational experience. Each week, core curricular components are addressed, including social-emotional, language arts, handwriting, mathematical, and scientific concepts. 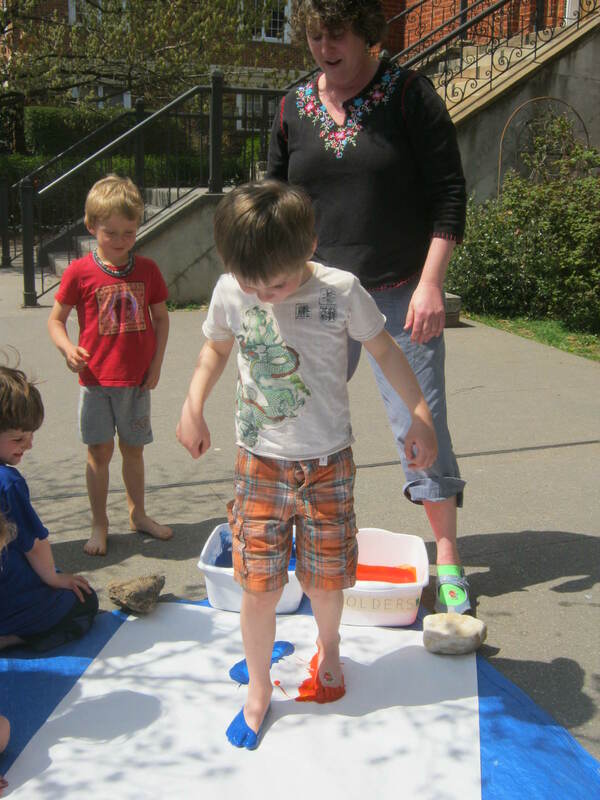 During kindergarten afternoons, children make choices to play and work in many areas within the classroom. These areas are designed to be open-ended and promote a platform for imaginative play. We also know that the outdoors is vital for healthy development, so children are offered time to play outside on a daily basis. Themes and projects, which are ever evolving and changing, may last for a few months or the entire year. They develop and grow from the interests of students and teachers. 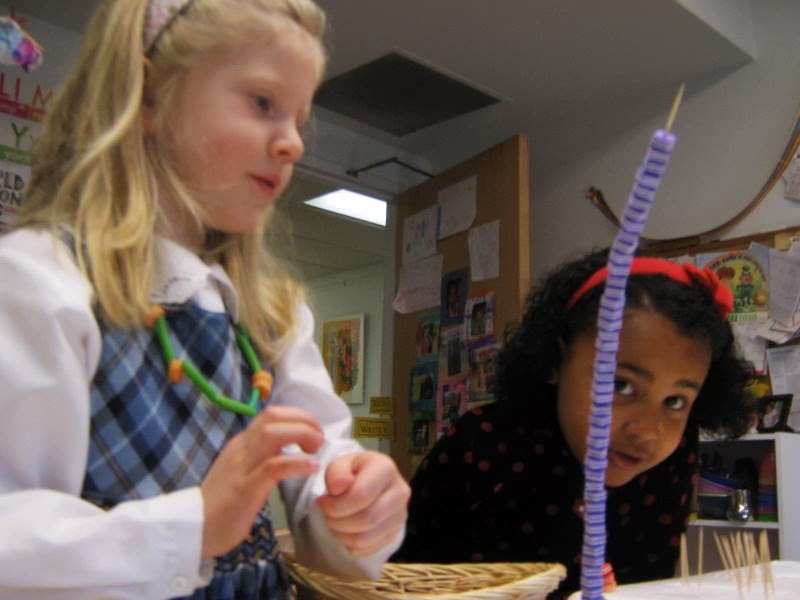 These projects and themes integrate math, science, art and language arts, allowing the children to learn and extend their thinking on a deeper level while engaged in compelling activities that are interesting and exciting to them. Cooperation, collaboration, leadership, responsibility among other skills are developed and fostered throughout the year. It is our hope to nurture and inspire self-confidence. We want each child to take responsibility in his or her own learning. And we seek to empower children to understand their place in our community.